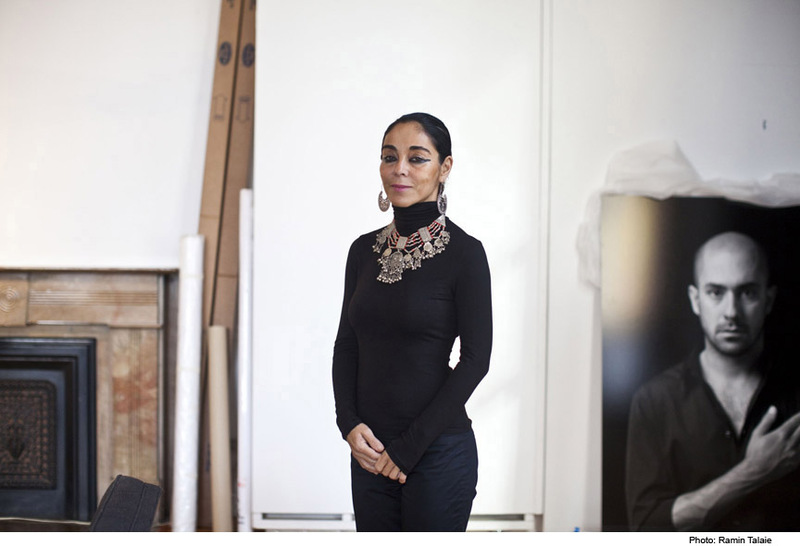 THIS WEEK I had the anxiety-turned-into-pleasure of interviewing Shirin Neshat, an internationally acclaimed multimedia artist. Anxiety because I admire her work and knew she was knowledgeable and articulate about so many worldly things I was not: religion, feminism, gender politics, geo-politics. In my usual line of work, I talk with community leaders, preservationists and winemakers more often than art stars. Ms. Neshat’s latest work includes a performance piece and upcoming photography exhibition inspired by both the 2009 Green Revolution during the Iranian election and the Arab Spring uprisings this year. These were events that I could place a map pin to, but little else. I didn’t have to worry about the conversation limping along. After fussing a little bit with her jewelry and fretting over a bad night’s sleep, Ms. Neshat was eager to discuss a multitude of issues—and with a surprising freshness, as if she hadn’t already been asked these questions by 100 other reporters. Perhaps that’s because she sees herself as a chameleon, changing forms instead of colors, so the questions and the issues are never exactly the same. Here are a few Q and As from our conversation. 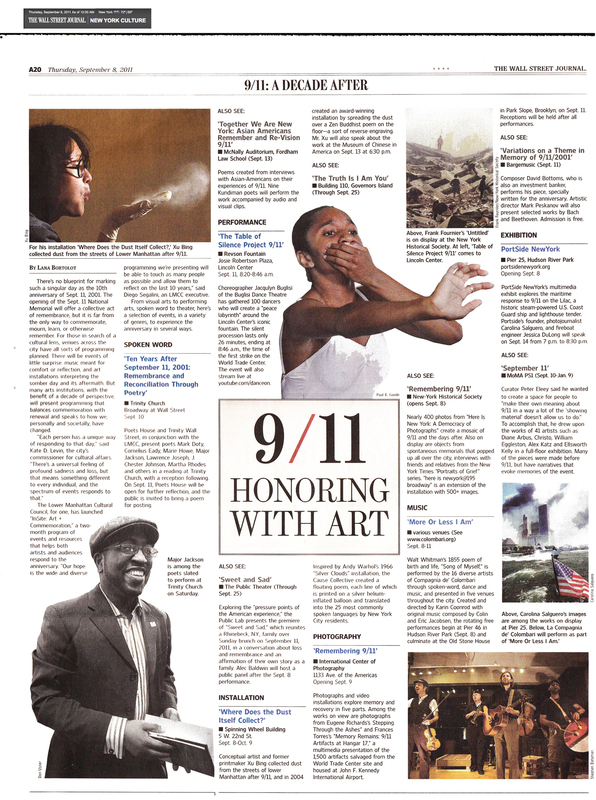 More appears in my interview with Ms. Neshat in this weekend’s Wall Street Journal. Do you considering yourself a change agent? That’s a very interesting idea because I’m so restless, I keep turning a new page in myself as if there’s something in me that can’t stand being the same. but look at me, I wear the same makeup, there are certain things that don’t change in me, but I keep being afraid of being repetitive. Maybe you’re right. There’s an anxiety in me that keeps making me want to turn a new page. It’s interesting you brought up anxiety. I expected curiosity. I have a lot of anxiety—literally. And I have a lot of curiosity. I think that this curiosity and anxiety is what is at the heart of my art. Its what drives me to … Shoja [my husband] often tells me if you try to neutralize this anxiety, probably neutralize your imagination. But I am immensely curious and I’m an immensely hard worker, meaning it’s not just work that is intuitively based but work that is hard-earned. I do a lot of research, I do my homework. I’m very conscious of the fact that there’s me as a person then there’s this world and all that it comes with … and we meet somewhere in the middle. You have sharper edge and definition of who you’re representing and why? Is that a woman, an artist, an Iranian or an exile? It’s all of them, I think. I have a strong affinity with Iranian women’s plight today. I think they continue to remain heroic in the context of what is happening. They constantly inspired me as really amazing beings as young women from older women in terms of artistically, in terms of intellectually, the activism point of view. As an artist, yes, I think I am part of the art, the cultural … the activist you would say. I am part of that community where our work has become a great threat to the country of Iran, to the government. It gives me a great pleasure that art is a form of resistance, even though it puts me at risk. I just love the idea that my work could be that thread and that …. the people who are working with me—they’re all in the same shape. They’re amazing artists from Iran who are forced to live in exile—all wanted by Iranian government. And it’s fantastic that we create this imaginary court and we ourselves are on trial and we speak back to our own government. Yes, I’m working as an artist, and I’m working as a woman and I’m taking responsibility as an Iranian who lives in change. Here’s a triangle: what three things about yourself would you put on each point? I think its really interesting because I see that I’m super, super strong—I can be at any moment of crisis and you will never see anyone stronger than me and unafraid and yet so extremely fragile that I’m always on the edge. These are the two things I know that are actually opposite, so it’s me as a tough woman, me as the most fragile. And three, as someone who … I think the other thing is my need of a community. I have such an absence of a community because I’ve never been around my family and the way I live is so tribal. I was always an outcast even with Iranian people or western people. So there’s a part of me that wants to feel like I belong to a community but it never really happens. So that’s the anxiety, the strength and the outcast. If I were to put artist here, what would I put on the other two points? That’s actually 4 points. What would you put in the middle? Woman. I have a very feminine approach to even activism or even making art or being an Iranian. That’s more at the center because my emotionality is definitely very female. They were interested in our fancy digital cameras, which took up half the space on the rickety table. And after showing them a few images on the back of the LCD, they each took out their wallets and showed us their pictures. One man, a widow, carried a picture of his wife as a young, dark-haired beauty. 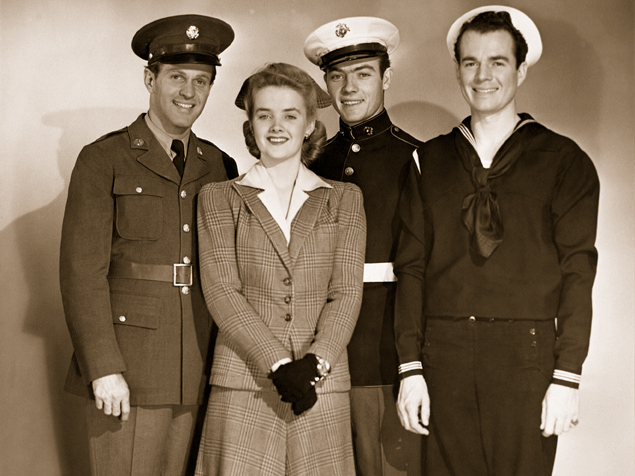 The others all had pictures of themselves as young soldiers in WWII. Some 60 years later, this identification—pride and honor—was still strong for these men. When others in the bar saw the photos, they clapped the old men on the back and sent over a couple of rounds of beers. I thought about that odd afternoon as I spent the last week interviewing veterans for a story about hunger issues. I was shocked to find from a Food Bank For New York City survey that nearly 30 percent of veteran households in the NYC area are worried about food. I spoke with a number of vets who say they can’t figure out how they got to this place. No one I spoke with was looking for a handout, but all of them felt like the hand of government hadn’t extended far enough. You can read more here. No one should be hungry. Period. But it’s hard to swallow the idea that men and women who put their lives on the line are now standing in a bread line. They don’t have a community of folks buying them a beer in recognition and thanks. Today, thank a vet, and ask them how they’re really doing. THE 10th ANNIVERSARY of Sept. 11, 2001 is almost here. That’s obvious. What’s also obvious: the city will have a ton of events commemorating the day. Politicians will seize the day for speech-making, which we hope will not be too opportunistic. Even though it doesn’t open to the public until Sept. 12, people will make a mass pilgrimage to the World Trade Center site, just to be near the heartbeat. The terrorism alerts have already kicked as has the speculation of when/if/how anything will happen. New Yorkers will worry—or not. Sept. 12 will arrive. It’s hard to add much to the canon of writings or emotions about that day. Like most, I remember it was a clear fall day. I was standing at the bus stop enroute to work at a downtown book publisher. I forgot something and went back home to retrieve it. It was lucky timing because in those few moments I was inside my apartment, the first tower was struck. I’m grateful I don’t have that sight in my memory bank. By the time I left my apartment for the second time, the doormen were huddled around the TV in the lobby: I had no idea of the outside. I did know, however, I didn’t want to witness whatever was happening with a group of people with whom I had only a passing acquaintance. Whatever it was, it already felt too intimate for that. And I was too scared to go out on the street. Back in my apartment, I watched the frantic coverage on TV. And when I heard that the Pentagon had been hit, the full force of the event—whatever it was—registered. We really were attacked. Up until that moment, most of me still believed it was pilot error, an air-traffic control gone wrong. Like most New Yorkers, I couldn’t believe there could be an attack on our invincible city. At that moment, I knew I didn’t want to be alone. I went to work in the West Village, where in the basement office of my employer, I watched the horrors of the day multiply with my three co-workers. Our office was about 10 blocks from the WTC. If we wanted to, we could have gone out. We did intermittently, but the debris and the smell and the exposure to something so raw and immediate kept us inside and glued to the TV. We ordered food in—a miracle that anyone was working that day (and testament to New Yorkers’ practicality). Someone knocked on the door and wanted to use the phone: she was on her way to her gym at the WTC and, like me, had forgotten something at home. That made all the difference in her life. But she had to find her husband and let him know she was OK. Her cell phone wasn’t working. She broke down in our office. She was so not OK. None of us were. We had another knock—a young woman and college friend of my employer’s daughter. Her office was across the street from the towers and she watched the hit in shock, then stood paralyzed as conflicting instructions fired around her office: “Stay where you are. Leave the building. Don’t use the elevators. The firemen are coming.” She ran out and then walked in a trance state away from the hot smoke until she was on Leroy Street and realized she knew someone there. She knocked on the door. My boss opened it and recognized her daughter’s friend through her ash cover. She had no idea she was covered in gray silt. She came in, sat on the couch and stared at the TV. We didn’t know if it should stay on or not: our visitor just stared at the screen as the jumble of words came out. Suddenly she looked straight at us and asked for a beer. She drank it in two swigs and left. My memory of the rest of that day was the collective “are you OK?” all over the city. I heard from former employers and schoolmates and every ex-boyfriend I’d had since college—speaking more to the hugeness of this to the outside than to my propensity for keeping old relationships. Inside that envelope of smoke and ash, we couldn’t know its larger context. It was not only just down the street, it was already a part of us. The phone checks weren’t enough: I wanted to be with people on that day and for the next few. I remember for a week after that bars doing a remarkable business … everyone literally drinking down their sorrows. I joined them because no one wanted to feel alone and we all had a need to participate in some kind of conversation about it. Some time before, the publisher for whom I worked had reissued “Here is New York,” E.B. White’s love letter to the city that had an eerily prescient message. We sold out of it—people looking for a way to understand what had happened or a reason to keep loving New York. If you’re looking for a conversation on this singular anniversary, many cultural organizations will offer ways to engage—and on your own terms. My story in the Wall Street Journal [download PDF here] selects just a few of the many commemorations throughout the city—events that will allow you to be alone in your thoughts, yet share the forever-bonding intimacy of that day with others. I FIRST DISCOVERED the Flatbush neighborhood a couple of years ago while on an assignment for amNewYork. I walked a grid around Flatbush Avenue, wondering how to describe a neighborhood that on one side is small town USA—generous lawns wreathing gracious Victorian houses—and on the other a patchwork of roti diners, wig shops, dollar stores and storefront churches. Where Flatbush and Church avenues intersect, I first saw Erasmus High School, one of the famed Snyder schools, renown for its gothic, landmarked campus and its roster of impressive alumni. And known, too, for its long-abandoned clapboard academy in the green center, a building waiting for either redemption or demise. Farther down the avenue, I came across this marvelous relic: The Loew’s Kings Theater. It rose in the middle of an otherwise undistinguished block, a limestone chunk with carved and crumbling ornament. You couldn’t tell if its final day of business was last week or in the last decade. No passers-by on the sidewalk knew what it was. It was just another piece of derelict junk on the street. I was dying to know what was on the other side of the metal gate that closed it off to the street. It was three years before I found out. Last week, I toured the inside of the building, built by Rapp and Rapp, the theater starchitects of their time (1929). Closed in 1977, the theater is in partial but not desperate ruin inside. Framed by tattered curtains, the stage is a jumble of broken props and frames. The orchestra is rows upon rows of faded velvet maroon (in its hey day, there were 3,600 seats, including 900 in the balcony). But so much elegance remains while so much has crumbled: a marble water fountain engraved “Drink and be refreshed,” dangling chandeliers, painted murals, working fireplaces in the men’s lounge. amNewYork featured the theater on a cover story I wrote on the city’s crumbling past, and last week, I finally got to write about the impending restoration, a joint partnership between the city and ACE Theatrical Group, which has similarly restored theaters in the country. Loew’s Kings Theater won’t open to the public until 2014. But the doors are open on the $70 million restoration, which recently started and about which you can read in The Wall Street Journal [story PDF here] [slideshow here]. When curiosity doesn’t kill the cat, it rewards it. In February, I wrote about the beleaguered Erasmus Academy building for the Journal. After years of neglect by the city, the board of education gave its blessing to New York Landmarks Conservancy to pursue funding for restoration. An initial grant has jump-started fundraising and raised the spirits for alumni who have watched their alma mater fall into decay [WSJ slideshow here]. PETITE AND SOFTSPOKEN, winemaker Evelyne de Pontbriand seems unassuming, but she is a mighty voice behind the modest appellation of Savennières, a 156-hectare AOC in the Loire Valley. Like so many European estates, hers has a historical quirk: It once belonged to the Marquis de Las Cases, a descendent of Napolean’s official biographer. Originally known as Château des Vaults, it has produced wine since 1495. de Pontbriand is the third generation of women to run the estate. Full story in the September issue of Sommelier News [PDF here]. WINEMAKER LIONEL METAIREAU spends a lot of time alone at Caves de la Nantaise, the Famille Bougrier winery in Pays Nantais. It could be the time of year—just before bud break when the winery is still shak­ing off its winter cobwebs. And it could be the isolation that comes naturally when you’re at the edge of a sprawling wine region such as the Loire Valley, the third largest in France. 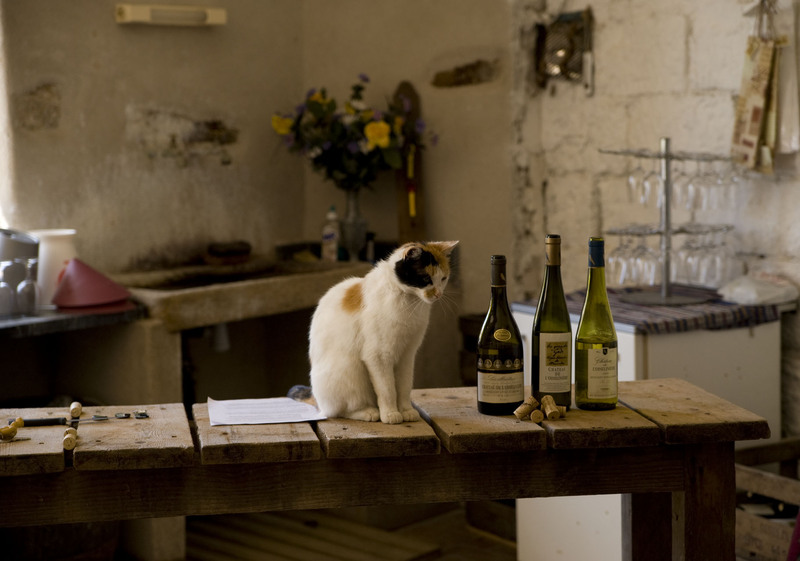 And sometimes, Metaireau thinks it’s because his far-flung kingdom has only one subject: the peculiarly light-bodied and in­tensely mineral Melon de Bourgogne vari­ety, better known as Muscadet. Happy dog days. I’ve been on blog hiatus this summer while on assignment in Europe. Wine travels have taken me to France, Germany, Greece, Italy, Romania and Portugal. I will post soon. Stories have appeared in The Wall Street Journal, two design features in amNew York—one on a discerning collector of mid-century chairs and the other on the fabulous Bresnitz boys—plus rethinking Muscadet in Sommelier News, and an almost-blimp ride for this month’s cover story for The Tasting Panel.